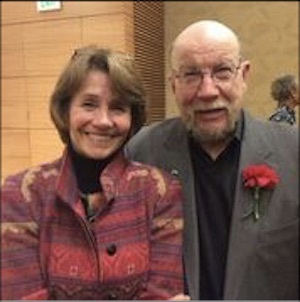 I first met Lynne Twist in 1975 while we were both associated with a San Francisco-based human potential organization called EST (the predecessor to what is known today as The Landmark Forum) – she as a volunteer and me as a short-term contractor. Shortly after she became one of the small startup staff for The Hunger Project where, in collaboration with another colleague, I helped deliver a training process for critical path planning. Over the years, our paths crossed again and again until she co-founded The Pachamama Alliance (“TPA”) over 22 years ago. Throughout that time, I have been a supporter of TPA which has given me many more opportunities to be with Lynne. While I have admired Lynne enormously, I have not seen her as having a focus on conscious leadership, the field I have been immersed in for much of the last half century. But in a recent interview of Lynne in Conscious Company Magazine, she shares quite a bit about the subject and I wanted to share her wisdom with my FutureShapers community. Much of leadership is the way you live, the way you speak, the way you think, the way you behave, the way you are. To be a conscious leader is to have integrity with all aspects of your life. When you are having a bad day and you don’t feel like leading, you are leading others to have a bad day and not feel like leading. You can’t not lead when you are a leader. You are modeling all the time. We all have the opportunity, the privilege, the responsibility to give our best to life. Someone who is committed to an environmentally sustainable, spiritually fulfilling, socially just human presence on this planet can’t indulge themselves in taking things personally. I have added the italics in the above paragraph since Lynne paraphrased the mission of TPA, a mission I have found so powerful that I have adapted it into my own personal mission statement. One last thing I would like to say about Lynne: Many women leaders I am aware of (those I know personally and those I know of through the media) seem to largely rely on their masculine side, thus diminishing their feminine side. In all the years I have known Lynne she has never forsaken her femininity. This is a key part of maintaining one’s integrity – being a person who is whole and integrated, bringing their whole selves to their work, their relationships and their lives.